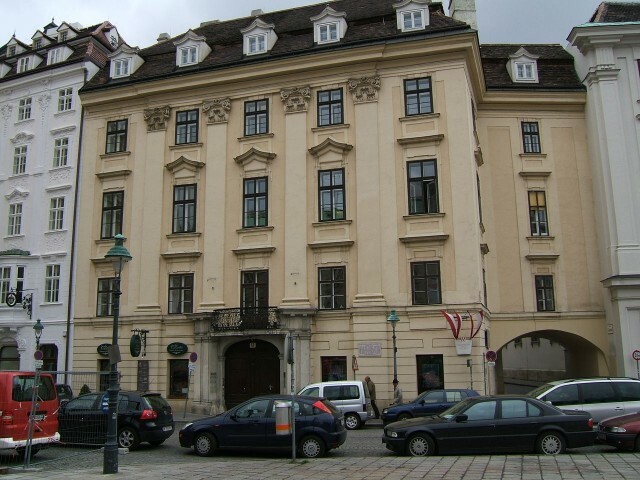 Am-Hof (Am Hof) – the historical area located in the Internal small town in Vienna. From time immemorial it was a market square, the area for knightly tournaments, a scene for performances and as served as a place of public execution. In the middle Am-Hof towers to "Mariyenzoil" (Mariensaule) (1664-1667) – a column in honour of Virgin Mary of the Mother of God – a monument to Thirty-year war. Especially for the temple the terrace on a marvellous baroque facade of church Am-Hof (Kirche am Hof) or «Nine angelic choruses» (Kirche zu den neun Choren der Engel) (XVII century) looks. Standing on it on easter Sunday 1782, Father Pius VI in the course of own visit to the city has made blessing ritual. At the left the church is adjoined by Kollalto’s (Palais Collalto) palace (No. 13) in Baroque style of designer Loukas Hildebrandta. 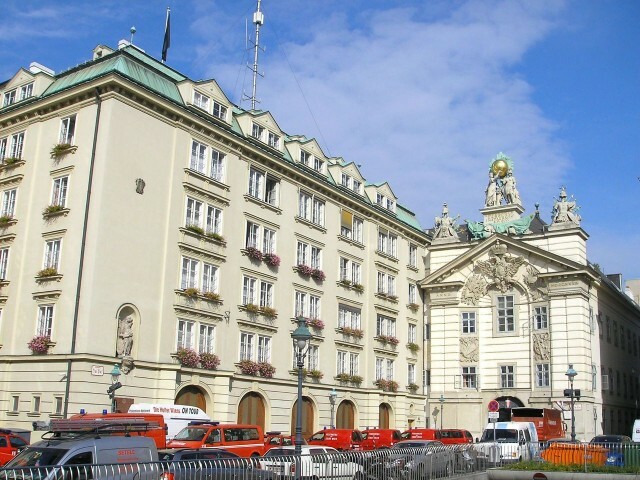 On a place of a present building of Bank of Austria (Bank Austria-Creditanstalt) (No. 2) Henry Yazomirgott has constructed in due time the residence Babenbergov, the Austrian barons (from 1150 to 1220). 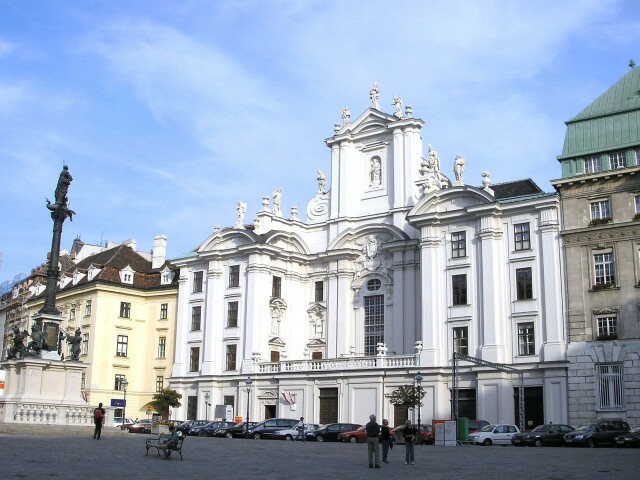 In Baroque style the museum of the Vienna fire service, and a town house of Urbanihaus (No. 12) are sustained Markleinsche (No. 7) house, at present here . The very narrow house (Schmales Haus) No. 8 – one of starenky in the small town (constructed till 1566). A building No. 10 – last city arsenal (Burgerliche Zeughaus), has been constructed it on a place of the Jewish slaughterhouse. After a siege of Vienna Turks here have located the trophies extracted at the enemy. Under the house No. 9 it is possible to see ruins of the Roman settlement of Vindobona. Now is the Vienna fire depot (Wiener Feuerwehr). In buildings No. 3-4 the Central Austrian bank has settled down. No. 5 "Zum Hahnenbeiss". The house No. 6a – Office building of public communication. And a building No. 11 – the House under the title "At a gold kernel".